This is a fascinating book presented in an interesting fashion. It’s not wide, but man is it deep. The focus is fairly narrow. holy smoke covers the history, pedigree, development of recipes, and current state of BBQ in North Carolina. This is a hardcover book with a very clean and attractive dust jacket. The book is divided into three main sections. The first seventy-seven pages are devoted to the cultural and culinary history of the food. The second section is devoted to recipes (current and from the earliest days of North Carolina ‘Q), techniques and BBQ pits. This section clocks in at one hundred and seventeen pages. The rest of the book is dedicated to the people of North Carolina BBQ. This is often their story in their own words. There is a true pride and dedication that resonates throughout this book. BBQ is part of the North Carolina heritage that is passed on from one generation to the next and holy smoke chronicles and honors that tradition. The amount of research that the authors put into this book is evidenced by the quality of the writing and the assured manner in which they guide the reader through the history of our native cuisine. It is clear that the authors have a respect for the subject matter. Their points of reference are often evident as they quote notable authors and other experts. The book is often a mix of authoritative discussions that avoid being pedantic and small snippets or anecdotes about celebrities such as Orson Scott Card, Dom DeLuise and Oliver Stone. Although I enjoyed the middle section with the recipes both modern and old, I most enjoyed the part of the book that allowed the pitmasters, restaurant owners and others who carry on the traditions of their parents and grandparents to talk about their experiences in their own words. There is an authenticity here that speaks to the soul of any BBQ enthusiast. 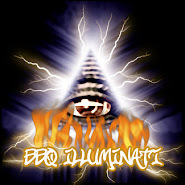 The nomenclature and colloquialisms of the people that spend their lives providing BBQ to others help to draw in those that are on the periphery of the hobby. 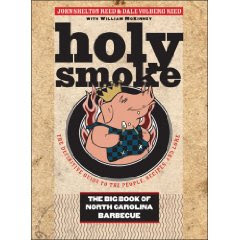 With the holiday season upon us, I would heartily recommend picking up holy smoke for any BBQ enthusiast. If you decide to buy two and put one in your own stocking your Christmas will be the better for it.